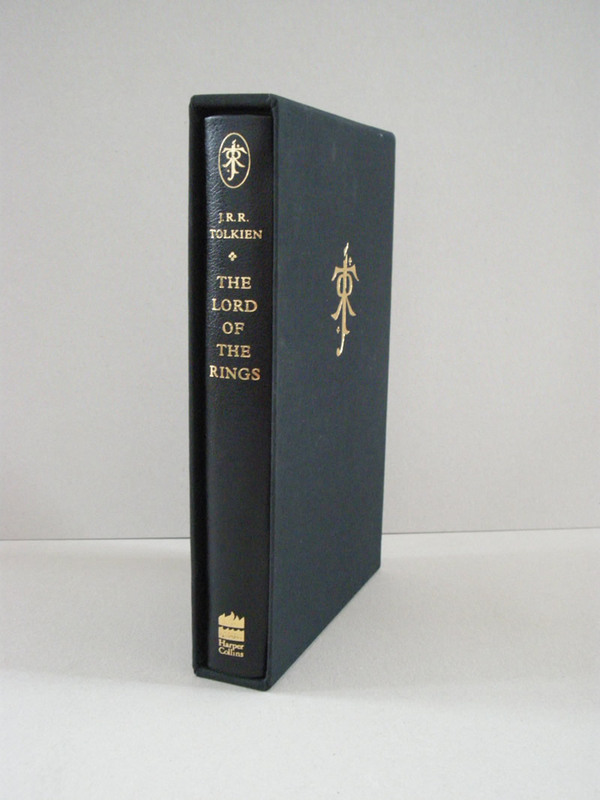 The Lord of the Rings by Harper Collins Publishers, the 1st printing of the 1997 Deluxe Limited Edition, limited to 1000 copies. 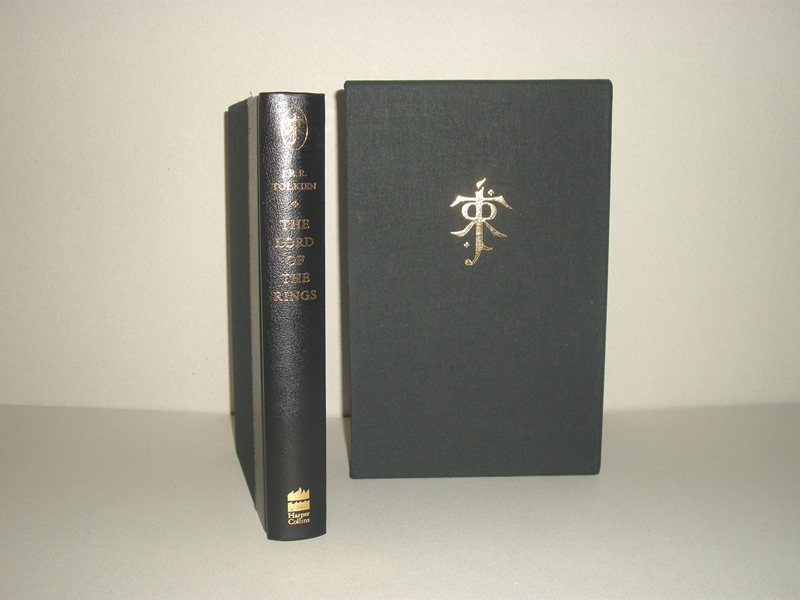 Harper Collins Publishers, the 1st printing of the 1997 Deluxe Limited Edition, limited to 1000 copies. 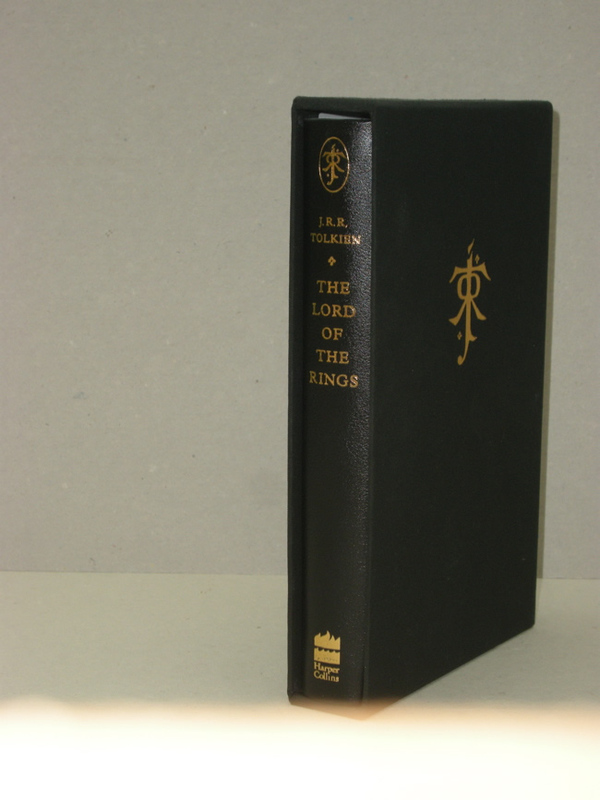 Book is Quarter Bound in Black Leather with Black Cloth and printed on India Paper. All Page Edges Gilded. 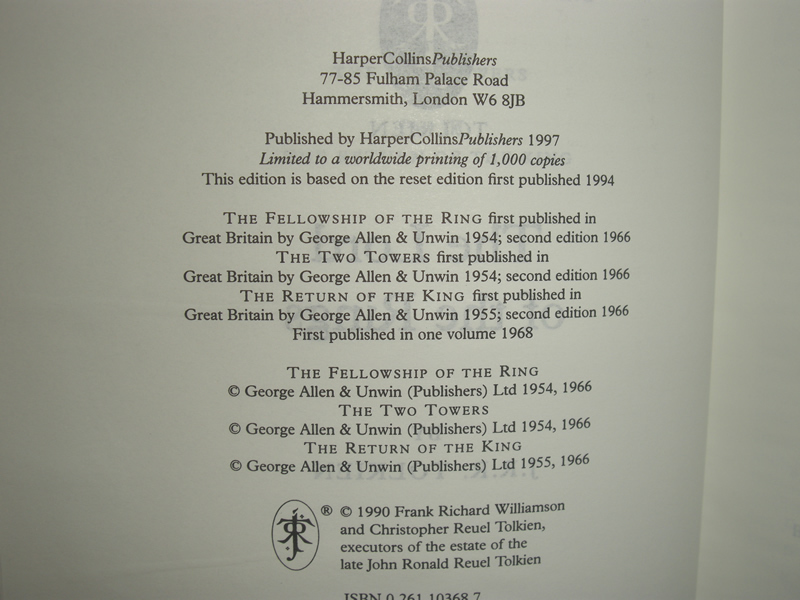 States 'Limited to a Worldwide Printing of 1000 Copies' on the copyright page. 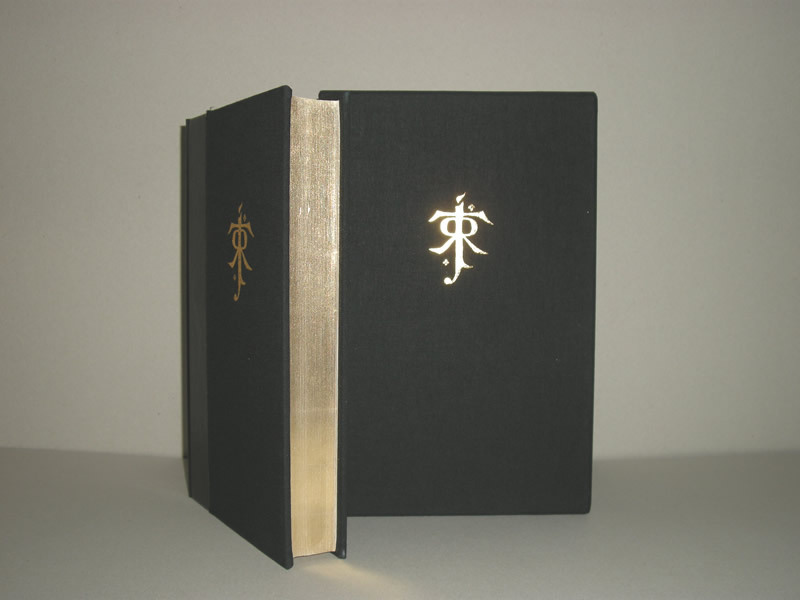 Gilt title, author, publisher and has the large Tolkien Monogram gilt stamped on front boards.